On All Saints Night 1st November 2012 in association with Miriam Lohan, Mary Hughes, Anthony Furlong, Learning Hub a talk was given to the children at the Learning hub about the history of St. Bridget’s Graveyard, before candles were decorated by the children and lit at the graveyard itself as a mark of respect to all of those who passed away and remain nameless in this site. You can view the some talk below, with many thanks to the children who asked wonderful questions and were very respectful to the memory of those buried in St. Bridget’s Graveyard (also known as St. Brigid’s). This is one of the saddest and most hidden graveyards in the city, it is located behind the Watchhouse Cross development on the Killeely Road. It is known locally as “The Paupers Graveyard” or “The Yellow Hole”. In 1841 on construction of the Union Workhouse, now St. Camillus’ Hospital a burial ground was required for those poor departed souls who were left without means or family, for a number of years the inmates were buried in Killeely Graveyard, Thomondgate. As the famine years grew longer and the graveyard became overcrowded the concern of health risks to the local inhabitants arose. 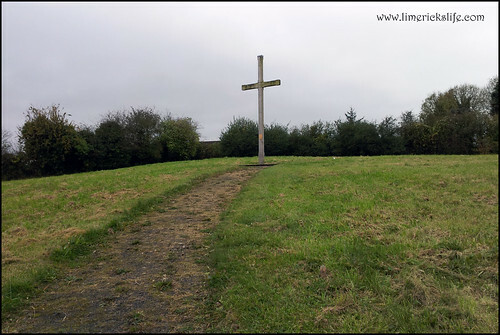 In 1849 the Union Workhouse Board of Guardians leased the plot of land to become known as St. Bridget’s Graveyard, this site had previously been occupied as the remains of a ringfort, some of which can still can still be seen today to the right of the large cross on the hill. The presence of this ringfort, which would have been known in the 1850s up until relatively recently as a “fairy fort” would have had many superstitious connotation for those living in the area at the time. The graveyard acquired is name “The Yellow Hole” as during the height of the Great Famine when the graveyard was in use multiple burials were a daily event. Large holes were dug to accommodate the dead. The area was a boggy one and below the suface of the boggy earth was a deep band of yellow mud, which is common in boggy areas six to thirteen feet below the bogland. Quicklime was probably used as a disinfectant and means of speeding up decomposition. Each layer of bodies would be concealed under a shallow layer of earth, with later burials laid on top of earlier ones. This mixture of quicklime and decomposing bodies would also have caused a yellow soap-like substance at the bottom of the pit. During the early years bodies were laid coffinless in rows of six dressed in sacking cloth. There were as many as 500 people a month buried at the height of the graveyards use, and over 5,000 people are thought to be buried in the graveyard. The last known person to be buried there was in 1940. 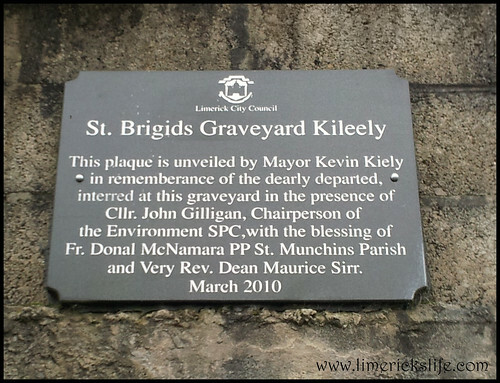 Over the years the graveyard became derelict until the Limerick Civic Trust in 2010 cleaned up the site and erected a new cross. They also planted wildflowers on the site, making it a peaceful sanctuary. Michael Hogan “Bard of Thomond” was greatly effected by the site of the unfortunate souls who found themselves in the workhouse and ultimately in St. Bridget’s Graveyard a fate which he himself only narrowly escaped. 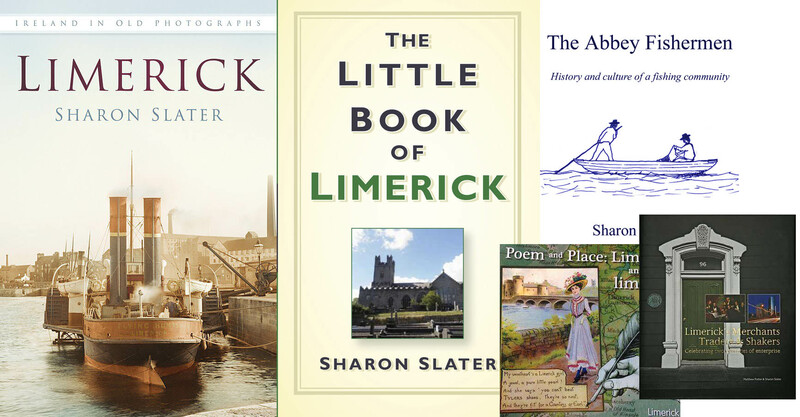 This is a snippet of his poem of the famine era in Limerick.